Founded in 2008 by owner Jeff McGrady, Heritage Freight provides a wide variety of Transportation, Warehousing, and Logistics services. Heritage Freight has earned a solid record of accomplishment in the industry by focusing on providing world class customer service, employing only the most qualified and experienced drivers, and by having an unwavering commitment to quality. With over 40 years of experience in the trucking industry, and core values of hard work, integrity and honesty, Jeff McGrady has earned the reputation as a leader in the industry when it comes to providing a quality customer experience. During these 40 years that Jeff has been working in the trucking industry, he has managed various departments and gained a broad understanding of the entire business, which allows him to effectively manage the entire business. By providing such a well-rounded array of services and capabilities, Heritage Freight is able to help its customers concentrate on the core competencies of their business. Heritage Freight has received the Platinum award by Great West Casualty Company (‘Great West’) as part of the 2016 National Safety Awards Program. Heritage appreciates all of the long term relationships that is has through its clients, employees, vendors, and the local community. We strive load by load, mile by mile to be the best partner we can be. We invite you to try our services and see the difference for yourself. We work hard to be a cut above expectations. 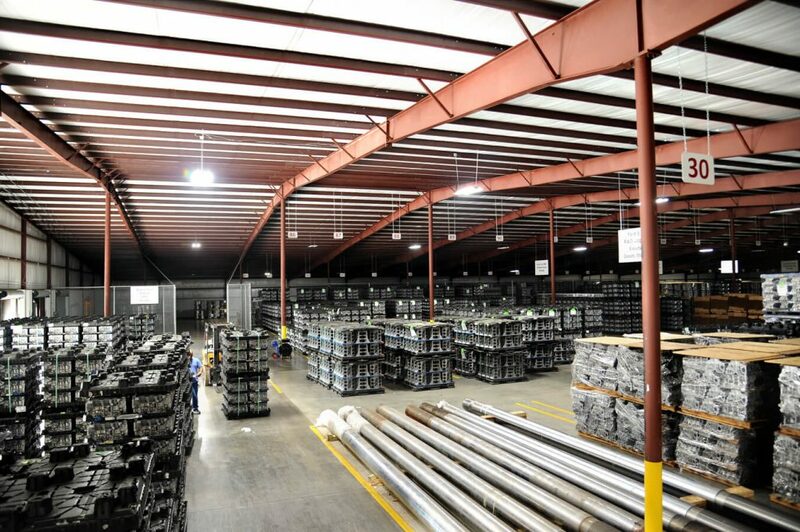 The main distribution center, located in Sylacauga, AL, consists of 3 locations totaling over 255,000 square feet of warehousing space with rail access served by two class one rail carriers (CSX and NS) and has the ability to spot six rail cars. Heritage Freight hauls loads of all kinds with a wide array of trailer types including VANS, Flatbeds, Dry Bulk, Containers, and Chip Haul. Services are heaviest in the Southwest, Southeast, and Midwest, with largest points in Texas and South Carolina. Fleet consists of over 50 trucks and 100 trailers. Average haul length for the fleet is 600 miles. Distribution centers have a wide variety of storage containers including Pallets, Gaylords, Cases, Cartons and Totes. Containers are tagged with their own IO tag and are protected by High Hazard Sprinkler Systems. Heritage Logistics is an asset carrier that also services its clients as a 3PL through the U.S. 48 states, giving our clientele a more powerful tool to move their loads. Project management of dedicated lanes is our specialty partnering with carriers that have been long time associates of ours and have been tested. People are the heartbeat of every successful company, we stand by, ready to prove our value. Jeff has 40 years in all aspects of the trucking industry and knows quality service with the understanding of client needs. He has a practical approach to business with honest integrity that shows from years of loyal client relationships. From trucking, warehousing, trailer pool management, dedicated services, Jeff and Dennis can meet your needs. Like Jeff, Dennis has 40 years in the transportation industry from owner of a 3pl company to operations management, sales and logistics. Using old school values, Dennis ensures the service that clients enjoy with honesty and down to earth business sense. Building custom programs that shippers may need from dedicated fleets, trailer pool management, warehousing and day to day operations of our logistics Dennis can assist you with your needs.